Craving for Ramyeon? Let me share you an awesome find in one of the Korean marts in BGC. 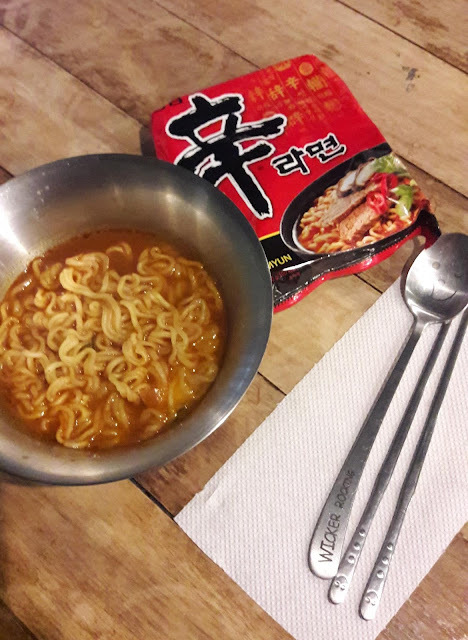 Yup, you can create your own ramyeon for as low as 60 pesos only! 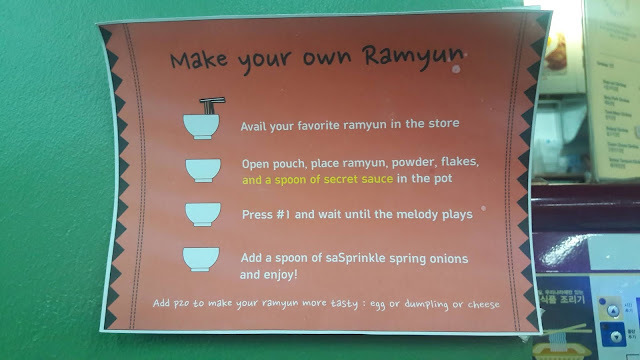 Here's their rule on how you can create your own ramyeon. Yes, they will allow you to dine in with no additional fees and will lend you their cooking materials and eating utensils. 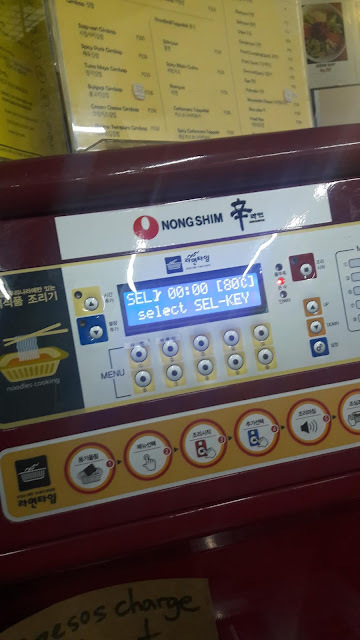 After purchasing your noodles, you are encouraged to cook your noodles in the machine. Even though the machine's brand is nongshim, you are allowed to purchase other brands that you want. One of their staffs would gladly assist you on how the machine would work. Afterwards, we added 20 pesos for an egg. The staff even instructed us on when was the best time to put the egg for a better texture! 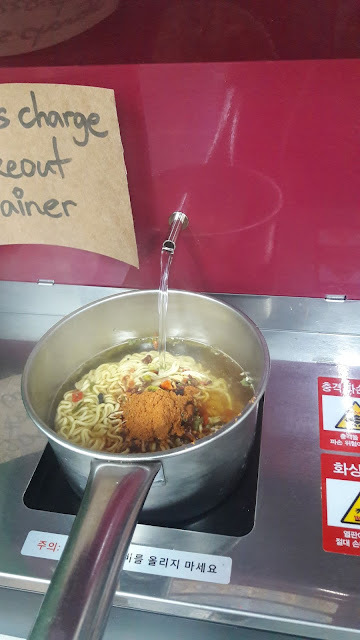 Even though it's an easy and common thing to cook noodles at home, I still enjoyed the fact that you can now DIY in a Korean mart most especially when you are running on a busy day and you'd like to have some ramyeon for lunch. 1. We were allowed to eat at their food hall located at the 2nd floor of the Assi Mart. This mart also sells some Korean food like tteokbokki and kimbap and I actually enjoyed the ramyeon with their tteokbokki. 2. This Korean mart sells a lot of food and beverage choices so you might as well try some of their drinks and snacks together with the ramyeon. Assi Mart, BGC and is nearby Chatime and St. Lukes Global City.